Sojourns to high altitude are common for adventure and recreational purposes. Too rapid an ascent or inability to acclimatize leads to high altitude illnesses. These include acute mountain sickness (AMS), high altitude cerebral edema (HACE) and high altitude pulmonary edema (HAPE). The most common cause of death related to high altitude, HAPE is completely and easily reversed if recognized early and treated properly. HAPE is a non-cardiogenic pulmonary edema which occurs in two forms. The first form typically occurs in un-acclimatized lowlanders who ascend rapidly to altitudes greater than 2500-3000 m. The second form, also called re-entry HAPE, occurs in high landers returning after a sojourn at a lower altitude. The two forms very probably share the same pathophysiology. This article discusses the pathophysiological mechanisms responsible for HAPE and elaborates on various modalities for its prevention and treatment. HAPE was misdiagnosed for centuries, as evidenced by frequent reports of young, vigorous men suddenly dying of "pneumonia" within days of arriving at high altitude. The death of Dr. Jacottet, "a robust, broad-shouldered young man," on Mont Blanc in 1891 (he refused descent so that he could "observe the acclimatization process" in himself) may have provided the first autopsy report of HAPE. Angelo Mosso wrote, "From Dr. Wizard's post-mortem examination…. the most immediate cause of death was therefore probably a suffocative catarrh accompanied by acute edema of the lungs…. I have gone into particulars of this sorrowful incident because a case of inflammation of the lungs also occurred during our expedition, on the summit of Monte Rossa, from which, however, the sufferer fortunately recovered." On an expedition to K2 (Karakoram Range, Pakistan) in 1902, Alistair Crowley described a climber "suffering from edema of both the lungs and his mind was gone." In the Andes, physicians were familiar with pulmonary edema peculiar to high altitude, but the English speaking world was largely oblivious to the phenomenon. This changed in 1960 when Charles Houston, an Aspen internist, reported on a healthy 21-year old cross country skier who developed pulmonary edema while crossing a 3,650-meter pass. His chest radiograph showed pulmonary edema, while his electrocardiogram displayed nonspecific changes. Although such cases had been termed "high altitude pneumonia", Houston recognized this to be acute pulmonary edema without heart disease. Houston's series of four patients included a 26-year old physician who undertook a self-examination with a sthethoscope and could detect fine, moist rales. Hultgren performed cardiac catheterization on seven patients with HAPE at the Chulec General Hospital in Peru. The patients had pulmonary hypertension, reduced cardiac outputs, and low pulmonary artery occlusion pressure. The large of number of Indian troops stationed in the Himalayas provided further for description of HAPE in otherwise young healthy men. , Since then, many studies and reviews have been published and HAPE is still the subject of intense investigation. HAPE presents within 2-5 days of arrival at high altitude. It is rarely observed below altitudes of 2500-3000 m and after 1 week of acclimatsation at a particular altitude. Broncho-alveolar lavage (BAL) performed in HAPE-susceptible adults within a day after ascent to 4559 m revealed elevated red blood cell counts and serum derived protein concentrations in BAL fluid. However, the number of alveolar macrophages/ul and neutrophils/ul and the concentration of pro-inflammatory mediators interleukin-1(IL-1), TNF-α, IL-8, thromboxane, prostaglandin E 2 , and leukotriene B 4 (LTB 4 ), was not increased. These results are consistent with studies done by West and colleagues  in rabbit lungs that showed that a rapid exposure of the pulmonary microcirculation to transvascular pressures of 40-60 cm H 2 O (30-44 mmHg) within 1 min is a hydraulic stress that exceeds the load bearing limits of the membrane collagen network and results in ruptures of the basement membrane and thus the alveolar-capillary barrier. , West had coined the structural engineering term 'stress failure' for this phenomenon. Decreases the reabsorption of fluid instilled into the lung. Acetazolamide is a carbonic anhydrase inhibitor and is effective in acute mountain sickness (AMS). It blunts hypoxic vasoconstriction in animals by its effect on calcium channels, , but further research is needed to determine its efficacy in HAPE. Immediate improvement of oxygenation either by supplemental oxygen, hyperbaric treatment, or by rapid descent is the treatment of choice for HAPE. For the mountaineer in a remote area without medical care, descent has first priority, while the tourist with HAPE visiting a high altitude plateau in the Andes, Himalayas, or Rocky Mountains may stay at altitude if medical facilities are available. If it takes few days in a remote area to reach lower altitude, treatment with nifedipine is strongly recommended. In mountaineers with HAPE at 4559 m, treatment with 20mg slow-release nifedipine taken every six hours led to a persistent relief of symptoms, improvement of gas exchange, and radiographic clearance over an observational period of 34 h. In this study, nifedipine therapy was not associated with hypotension. To date, there are no clinical trials on the use of more selective pulmonary vasodilators such as sildenafil or other phosphodiesterase-5 inhibitors in this setting. 1. Auerbach PS. Wilderness Medicine. 5 th ed. Philadelphia: Mosby Elsevier; 2007. 2. Houston CS. Acute pulmonary edema of high altitude. N Engl J Med 1960;263:478-80. 3. Hultgren H, Spickard W: Medical experiences in Peru. Stanford Med Bull 1960;18:76-95. 4. Singh I, Kapila CC, Khanna PK, Nanada RB, Rao BD. High-altitude pulmonary edema. Lancet 1965;191:229-34. 5. Menon ND. High altitude pulmonary edema: A clinical study. N Engl J Med 1965;273:66-73. 6. Sopocles Jr AM. High altitude pulmonary edema in Vail, Colorado, 1975-82. High Alt Med Biol 1986;144:569-73. 7. Hochstrasser J, Nanzer A, Oelz O. Altitude edema in the Swiss Alps. Observations on the incidence and clinical course in 50 patients 1980-84. Schweiz Med Wochenschr 1986;116:866-73. 8. Maggiorini M, Buhler B, Walter M, Oelz O. Prevalence of acute mountain sickness in the Swiss Alps. BMJ 1990;301:853-5. 9. Hackett PH, Rennie D. Rales, peripheral edema, retinal haemorrhage and acute mountain sickness. Am J Med 1979;67:214-8. 10. Singh I, Roy SB. High altitude pulmonary edema: Clinical, hemodynamic, and pathologic studies. In: Command UA, Ra D, editors. Biomedicine of high terrestrial elevation problems. Washington D.C.; 1969. p. 108-20. 11. Bartsch P, Mairbauri H, Swenson ER, Maggiorini M. High altitude pulmonary edema. Swiss Med Wkly 2003;133:377-84. 12. Schoene RB. Illnesses at high altitude. Chest 2008;134:402-16. 13. Cremona G, Asnaghi R, Baderna P, Brunetto A, Brutsaert T, Cavallaro C, et al. Pulmonary extravascular fluid accumulation in recreational climbers: A prospective study. Lancet 2002;359:303-9. 14. Mason NP, Petersen M, Melot C, Imanov B, Matveykine O, Gautier MT, et al. Serial changes in nasal potential difference and lung electrical impedance tomography at high altitude. J Appl Physiol 2003;94:2043-50. 15. Barrett KE, Barman SM, Boitano S, Brooks HL: Ganong's Review of Medical Physiology, 23 rd ed. New Delhi: Tata-McGraw-Hill; 2009. p. 619-20. 16. Murray F, Insel PA, Yuan IX. Role of O (2)-sensitive K(+) and Ca (2+) channels in the regulation of pulmonary circulation: Potential role of caveolae and implications for high altitude pulmonary edema. Respir Physiol Neurobiol 2006;151:192-208. 17. Beall CM, Laskowski D, Strohl KP, Soria R, Villena M, Vargas E, et al. Pulmonary nitric oxide in mountain dwellers. Nature 2001;414:411-2. 18. Swenson S, Maggiorini M, Mongovin S, Gibbs S, Greve I, Mairbauri H, et al. High altitude pulmonary edema is a non-inflammatory high permeability leak of the alveolar-capillary barrier. JAMA 2002;287:226-35. 19. Duplain H, Sartori C, Lepori M, Figli M, Allemann Y, Nicod P, et al. Exhaled nitric oxide in high-altitude pulmonary edema: Role in the regulation of pulmonary vascular tone and evidence for a role against inflammation. Am J Respir Crit Care Med 2000;162:221-4. 20. Busch T, Bartsch P, Pappert D, Grunig E, Hildebrandt W, Elser H, et al. Hypoxia decreases exhaled nitric oxide in mountaineers susceptible to high-altitude pulmonary edema. Am J Respir Crit Care Med 2001;163:368-73. 21. Maggiorini M, Brunner-La Rocca HP, Bartsch P, Fischler M, Bohm T, Bloch KE, et al. Dexamethasone and tadalafil prophylaxis prevents both excessive pulmonary constriction and high altitude pulmonary edema in susceptible subjects. Eur Respir J 2004; 24(Suppl 28):S110. 22. 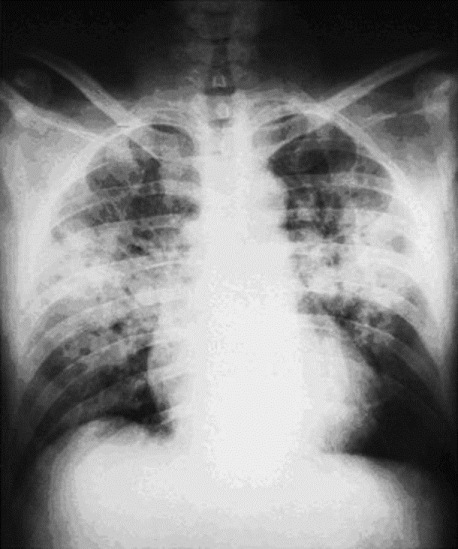 Maggiorini M. High altitude-induced pulmonary edema. Cardiovasc Res 2006;72:41-50. 23. West JB, Tsukimoto K, Mathieu -Costello O, Prediletto R. Stress failure in pulmonary capillaries. J Appl Physiol 1991;70:1731-42. 24. West JB, Mathieu-Costello O, Jones JH, Birks EK, Logemann RB, Pascoe JR, et al. Stress failure of pulmonary capillaries in racehorses with exercise-induced pulmonary haemorrhage. J Appl Physiol 1993;75:1097-109. 25. Bartsch P, Mairbauri H, Maggiorini M, Swenson ER. Physiological aspects of high-altitude pulmonary edema. J Appl Physiol 2005;98:1101-110. 26. Bartsch P, Maggiorini M, Ritter M, Noti C, Vock P, Oelz O. Prevention of high-altitude pulmonary edema by nifedipine. N Engl J Med 1991;325:1306-7. 27. Swenson ER. Carbonic anhydrase inhibitors and ventilation: A complex interplay of stimulation and suppression. Eur Resp J 1998;12:1242-7. 28. Deem S, Hedges R, Ker M, Swenson ER. Acetazolamide reduces the rate and magnitude of hypoxic pulmonary vasoconstriction in isolated perfused rabbit lung. Respir Physiol 2000;123:109-19. 29. Oelz O, Maggiorini M, Ritter M, Waber U, Jenni R, Vock P, et al. Nifedipine for high altitude pulmonary edema. Lancet 1989;2:1241-4. Shi, Z.-S., Ma, S.-Q., Chen, Q., He, Z.-Z.